Nissan announced the retail launch of its integrated home energy solution, Nissan Energy Solar. UK customers can now optimise the way their properties create, store and consume energy via the use of world-class integrated solar panels, battery storage (xStorage Home) and a home energy management system. Key benefits of the system include: reduction in household electricity bills of up to 66%, increased independence from the national grid and electricity providers, the ability to generate, store and manage energy for use overnight – even on overcast or rainy days – and charge Nissan EVs. “Nissan Energy Solar is a complete system for home energy generation, management and storage. 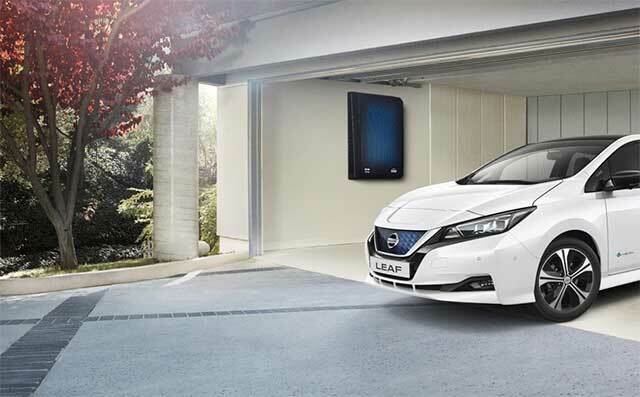 It enables UK homeowners to make significant savings on their household electricity bills, and become champions of sustainability and green technology,” said Gareth Dunsmore Electric Vehicle Director, Nissan Europe. Nissan Energy Solar’s product offering provides complete flexibility to customers, whether they’re looking for a fully integrated solar and storage package, or the respective components individually. This offering is one of the few comprehensive ranges of solar options available in the UK. UK customers have the choice to select energy storage systems that use either new or second life batteries from Nissan electric vehicles. This maximises the use of recyclable materials, for intelligent living and a more sustainable future.